Posted March 25th, 2019 by Timberly George Ambler & filed under exercise perscription, Trending Now. Posted March 18th, 2019 by Timberly George Ambler & filed under exercise perscription, Trending Now, Uncategorized. Dr. Jackie Whittaker is an Assistant Professor, physiotherapist and clinician-scientist in the Faculty of Rehabilitation Medicine at the University of Alberta in Edmonton (Canada). osteoarthritis. Jackie’s research is guided by 21 years of clinical practice, which allows her to move freely along the knowledge generation-translation continuum. Laura’s passion is helping people return to or maintain function despite an injury or illness. Her experience in sport physiotherapy and private practice orthopedics has given her a unique perspective and ability to help people achieve these goals. She has a particular interest in helping people maintain a healthy level of physical activity despite normal age-related changes. Since graduating from McMaster University in 2003 with her MScPT, she has completed further post-graduate training in sport and orthopedic physiotherapy; she holds her Diploma in Sport Physiotherapy and her Advanced Diploma in Manual and Manipulative Physiotherapy. 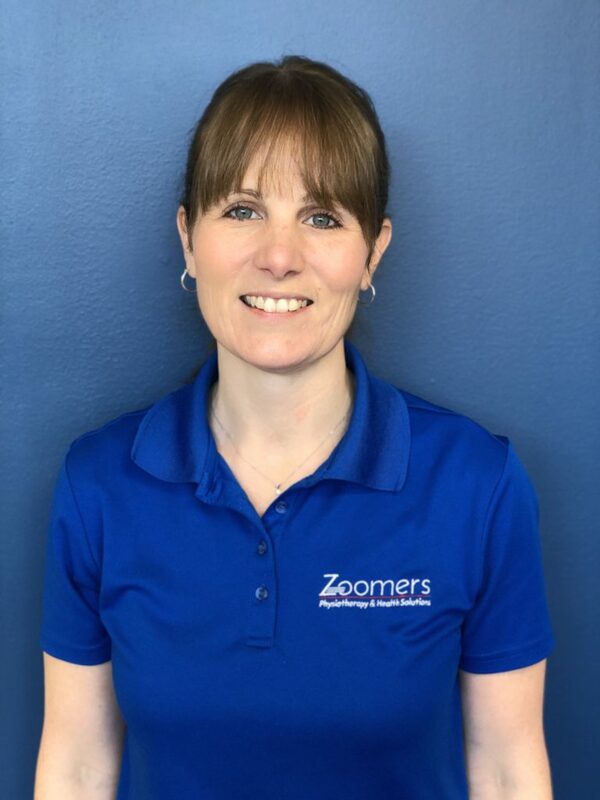 In 2018, she opened Zoomers Physiotherapy and Health Solutions in Halifax, NS; it is a multi-disciplinary clinic that focuses on providing health and fitness services for adults aged 50+ that promote healthy and active aging. were required due to his advancing age and his diminishing mobility and capacity for work. 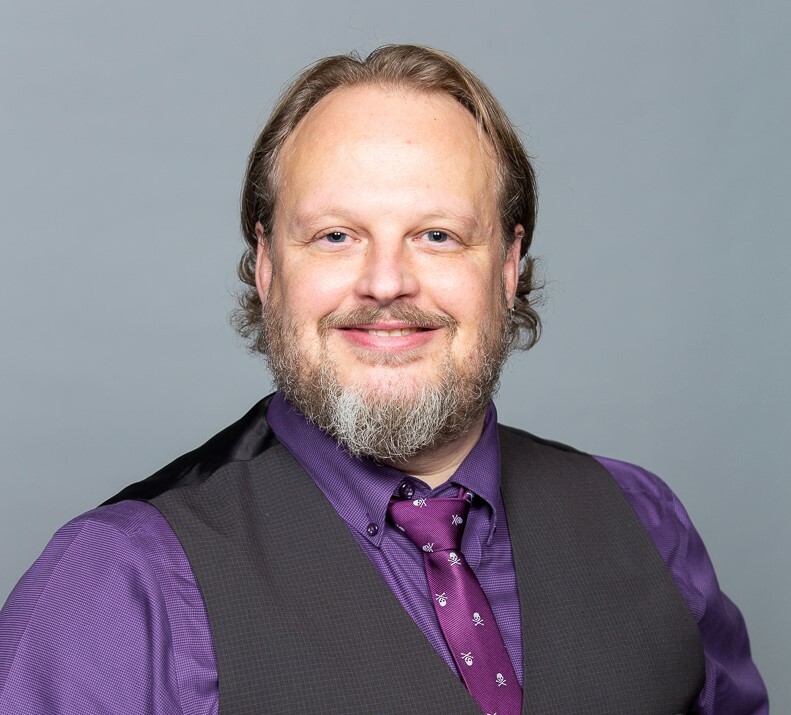 Dr. Scotty Butcher is an Associate Professor in the School of Rehabilitation Science at the University of Saskatchewan, co-founder of Strength Rebels, and The Strength Jedi on social media. He holds a BSc(PT) and MSc Kin from the University of Saskatchewan and a PhD in Exercise Physiology and Experimental Medicine from the University of Alberta. He is certified as a Registered Clinical Exercise Physiologist (ACSM-RCEP), is a CrossFit Level 1 trainer (CF-L1), and is formerly certified as a Certified Strength and Conditioning Specialist (NSCA-CSCS); the latter of which he has formally relinquished. Scotty teaches exercise physiology, prescription, and rehabilitation to physical therapy students and has published several peer reviewed articles and two book chapters related to exercise testing and prescription. Currently training as a powerlifter, he has a passion for strength training and translates this to promoting quality exercise training and rehabilitation practices for clinicians and students. His focus in research, teaching, and clinical work is on the hybrid rehabilitation/strength training approach and shares his views through blogging and vlogging. Jeff Osadec, MKin CEP CSCS, has coached for the past 10 years working with athletes both young and national level. Jeff holds degrees in General Studies (’00) and Education (’02) from Brandon University, Exercise and Sport Science (’05) from the University of Manitoba and a Masters in Kinesiology (’09) from the University of Calgary. 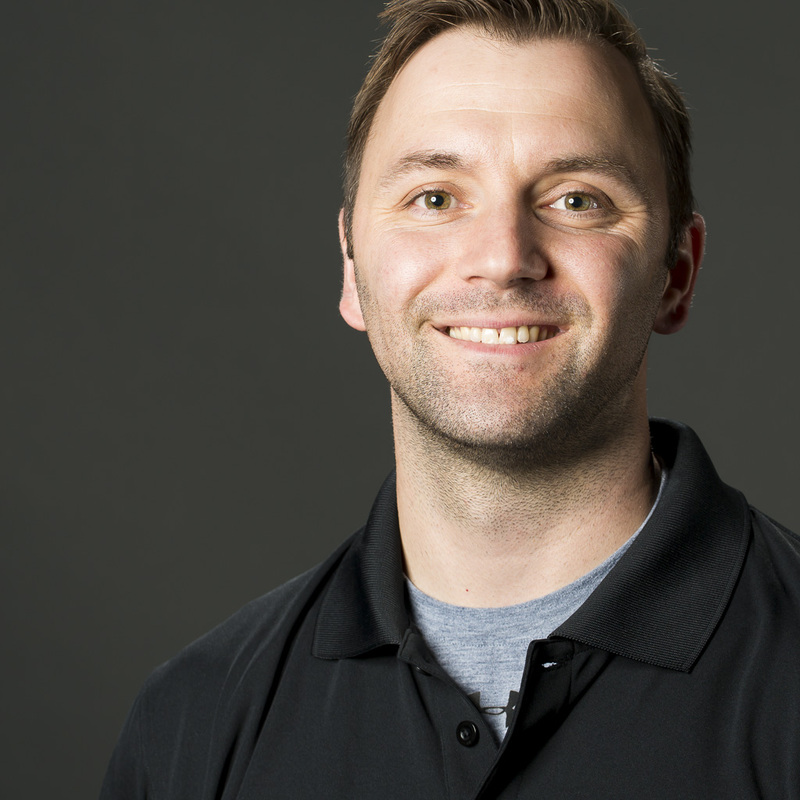 Jeff joined the Canadian Sport Institute full time in the fall of 2011 as a strength coach and physiologist. Jeff is certified as a physiologist from Canadian Society for Exercise Physiology and as a strength and conditioning coach through the National Strength and Conditioning Association. Posted February 4th, 2019 by Ashley Lewis & filed under Games Call, Trending Now. SPC is pleased to announce the open Call for Applications for the 2019 Parapan-American Games in Lima, Puru. The games run from August 23 to September 1, 2019. This call is for the Chief Therapist and the Core Health Services Team (HST) with a deadline to submit your Games Application to SPC by 11:59pm Eastern February 18, 2019. Games Information & Application available here. Posted January 23rd, 2019 by Ashley Lewis & filed under Trending Now. Registration will close at 11:59pm Eastern on January 31, 2019. No late registrations will be accepted after this time. Exam Time assignment: Candidates will receive their assigned timeslot by February 15th at 5pm eastern time. We try our best to accommodate travel distances and time preferences but we make no guarantees. Please block the entire weekend on your calendar until you have received your assigned time. Note: We run 3-4 rooms of exams consecutively and must take account examiner conflicts and language preferences. The schedule is very complex and will not allow switching times. Please block the weekend until your time is received. Policies Related to Oral Practical Exam:Refunds: Up to February 15th, 2019 a full refund minus a $60 application fee. After February 15th, 2019 a 50% refund will be issued. SPC may at our discretion issue a full refund minus $60 application fee for medical or extenuating circumstances. After April 1, 2019 no refunds will be issued. SPC may at our discretion issue a full refund minus $60 application fee for medical or extenuating circumstances. Examination Policies: Can all be found in our credential program syllabus- please be sure you are utilizing the 2018 syllabus (see documents section of this screen for downloadable version). Additional Resources An online webinar with the Chief Examiner will be scheduled for candidate and mentors. Please note the purpose of this webinar is to give a brief overview of what to expect from the examination experience. You are also able to ask questions to the Chief Examiner- it is as useful as you make it! Posted December 12th, 2018 by Ashley Lewis & filed under Provincial Activity, Trending Now, Uncategorized. Posted December 12th, 2018 by Ashley Lewis & filed under Concussion, Trending Now. JOIN US! Details available here. Posted October 30th, 2018 by Ashley Lewis & filed under Trending Now. Kathryn Schneider PT, PhD, DipManipPT, Clinical Specialist-Musculoskeletal Physiotherapy, Certificate in Vestibular Rehabilitation is an Assistant Professor and Clinician Scientist (Physiotherapist) at the Sport Injury Prevention Research Centre, Faculty of Kinesiology at the University of Calgary. Her research focuses on the prevention, detection and treatment of sport-related concussion. Her previous work has identified a large treatment effect using multimodal physiotherapy and vestibular rehabilitation in athletes who have persistent symptoms following concussion. She is a Clinical Specialist in Musculoskeletal Physiotherapy, a Fellow of the Canadian Academy of Manipulative Physiotherapists and has expertise in vestibular rehabilitation, including completion of a Certificate Course in VR (Emory University 2003) and an Advances in VR course (Duke 2009). Her clinical practice focuses on the treatment of recreational to elite/professional athletes with ongoing symptoms following sport-related concussion. She has developed and instructs continuing education courses for physiotherapists and health care professionals in the area of vestibular rehabilitation, cervical spine assessment/treatment and sport-related concussion. She was recognized by Avenue Magazine as “Top 40 Under 40” in 2012 and was the recipient of the Vestibular Disorders Association (VEDA) Champion of Vestibular Medicine Award in 2015. 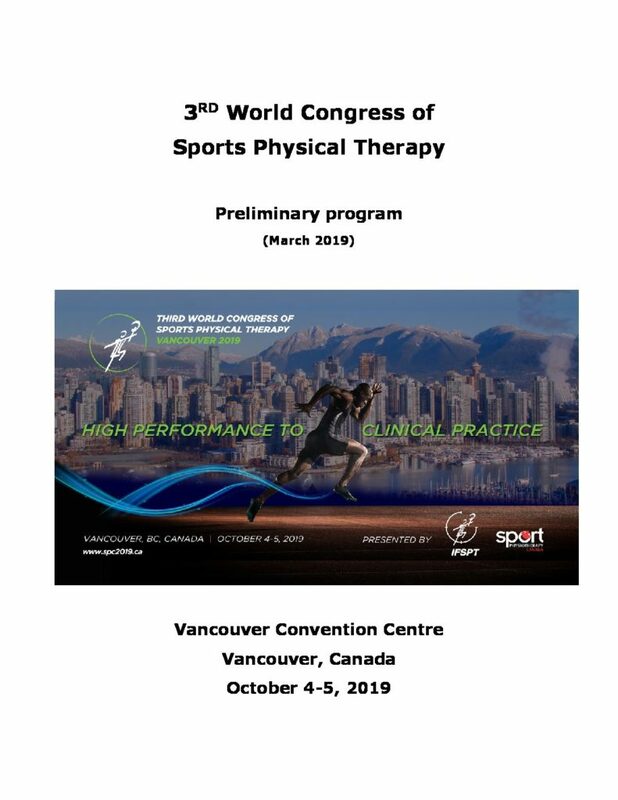 Invited speaking highlights include the 4th and 5th International Consensus Conferences on Concussion in Sport, International Olympic Committee (IOC) medical meetings at the Sochi, Rio and PyeongChang Olympic games, and many additional International and National Sport meetings. 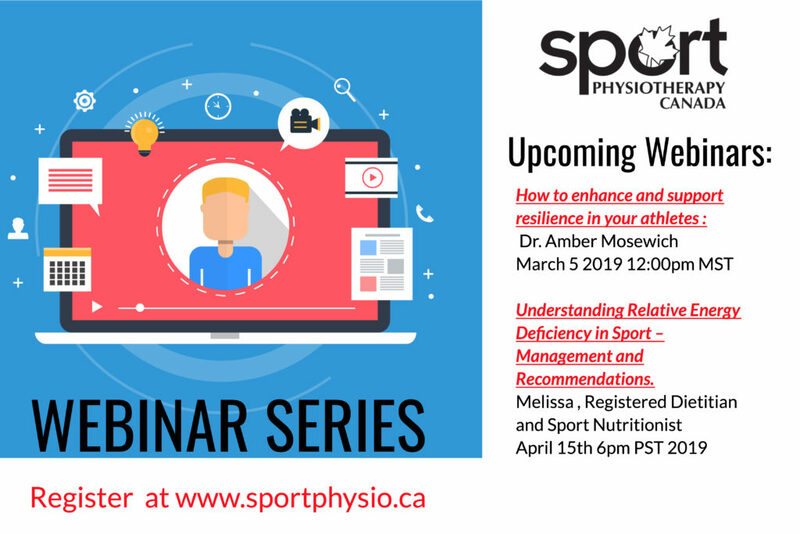 Over the past 7 years, she has worked with many local, provincial and national sport organizations and health care teams to develop and implement evidence-based concussion protocols and processes. She represents the Canadian Physiotherapy Association on the Canadian Concussion Collaborative, is a member of the Federal Government Working Group on Concussion in Sport and Parachute’s Expert Advisory Committee on Concussion in Sport. Gordon Stringeris the father of Rowan Stringer. Rowan died on May 12, 2013, from Second Impact Syndrome, the result of three unrecognised, undiagnosed, untreated concussions in a span of 6 days. Since that day Gordon and his wife Kathleen have advocated for both organ donation (Rowan was a donor) and for increased awareness and education regarding recognition of concussions and their acute, chronic and in extreme cases like Rowan’s, lethal effects. Following a Coroner’s Inquest into Rowan’s death in May of 2015 he has worked to ensure that the 49 Coroner’s Jury recommendations were implemented. On March 6, 2018 “Rowan’s Law” was passed in Ontario. The first of the Jury recommendations, and the first Concussion legislation in Canada. The remaining 20 jury recommendations will be addressed in the future based on Report of the Rowan’s Law Advisory Committee. Gordon and Kathleen continue their quest to make sure what happened to their daughter happens to no others. Moving forward they continue to work towards having Ontario’s “Rowan’s Law” replicated across Canada. Dr. Nathan Steinhafel, MS, OD, FAAOreceived his Doctor of Optometry degree from the Southern California College of Optometry and completed his residency pediatric optometry, binocular vision, and vision rehabilitation at the University of Alabama at Birmingham, where he also served as a clinical instructor. Dr. Steinhafel also holds a Master’s of Science degree in Neurophysiology from Brigham Young University. He is a fellow of the American Academy of Optometry within the neuro optometric section and was a masked examiner for the pediatric eye disease investigator group (PEDIG). He is a member of the Neuro-Optometric Rehabilitation Association. Dr. Steinhafel is an industry consultant and part of the speaker’s bureau for ImPACT technologies, a clinical research group centered on concussion testing. He is currently in clinical practice and director of TBI vision services at Armstrong Eye Care Associates in Western Pennsylvania and works in adjunct with regional hospitals devoted to TBI including UPMC’s Department of Sports Medicine and UPMC Centers for Rehab Services. He continues to contribute to pediatric and special needs programs at The Watson Institute and The Children’s Institute in Pittsburgh. His clinical specialties include amblyopia, strabismus, binocular vision, adult motilities, traumatic brain injury, and vision therapy. Sheelah Woodhouse, PT, BScPT, Vestibular Physiotherapistgraduated as a Physiotherapist from the University of Alberta’s Faculty of Rehabilitation Medicine in 1991. After several years of orthopedic private practice she discovered Vestibular Rehabilitation which became her primary focus and passion. She has pursued extensive post-graduate education in the field, including her Certificate in Vestibular Rehabilitation in 2000, Advanced Certificate, and is now part of the faculty at Emory University providing the ‘gold standard’ competency-based training. In 2000, she started one of Canada’s first clinics exclusively dedicated to providing Vestibular Rehabilitation in Calgary. She joined LifeMark Health in 2006 as the Director of Vestibular Rehabilitation to be able to expand Canadians’ access this specialty service, training and supporting what is now a team of over 120 therapists at more than 85 Lifemark locations across the country. She was on the advisory committee for the development and writing of the recently published clinical practice guidelines in Vestibular Rehabilitation and is Past-President of the Vestibular Disorders Association. She has a long history of educating the public, medical and insurance communities about the benefits of Vestibular Rehabilitation. Brian L. Brooks, PhD, RPsych is a pediatric neuropsychologist and director of neuropsychology services at the Alberta Children’s Hospital in Calgary, Alberta, Canada. He is also an adjunct faculty member with the Departments of Pediatrics, Clinical Neurosciences, and Psychology at the University of Calgary, a full member with the Alberta Children’s Hospital Research Institute, an associate member of the Hotchkiss Brain Institute, and the research lead for the Alberta Children’s Hospital Complex Concussion Clinic. His primary research focus is on neuropsychological outcomes from concussion, including early diagnosis, prognostication of outcome, potential treatment options, and long term effects. He has over 100 peer-reviewed journal publications in the field of neuropsychology, including papers on psychometrics, test interpretation, performance validity testing, and outcomes from various medical, neurological, and psychiatric diseases. He has been recognized with several distinctions from the National Academy of Neuropsychology, including twice receiving the Nelson Butters award 2010 and 2014, receiving the early career award in 2014, and being elected as a fellow in 2015. He is currently supported by an Embedded Clinician Researcher award from the Canadian Institutes of Health Research (CIHR). Keith Owen Yeates, Ph.D., is the Ronald and Irene Ward Chair in Pediatric Brain Injury and Professor and Head of the Department of Psychology at the University of Calgary, in Alberta, Canada. He leads the University’s Integrated Concussion Research Program. Dr. Yeates is one of the world’s leading scientists studying traumatic brain injury and concussion in childhood. He has a 30 year track record of grant funding for his research, and has published over 245 peer-reviewed journal articles, 40 book chapters, and 5 edited or co-authored books. Dr. Yeates was co-lead author of the report of the Centers for Disease Control (CDC) Expert Panel on Acute Diagnosis and Management of Mild Traumatic Brain Injury among Children and Adolescents, and an invited expert panel observer at the 5th International Consensus Conference on Concussion in Sport in Berlin. He has served as President of the Society of Clinical Neuropsychology of the American Psychological Association, and is currently President of the International Neuropsychological Society. Julie Rabnett PTis a physiotherapist that works in private practice at Lifemark Sport Medicine at the Repsol Sport Centre in Calgary. Julie grew up competitively alpine ski racing and ultimately raced for the Canadian Alpine Ski Team. 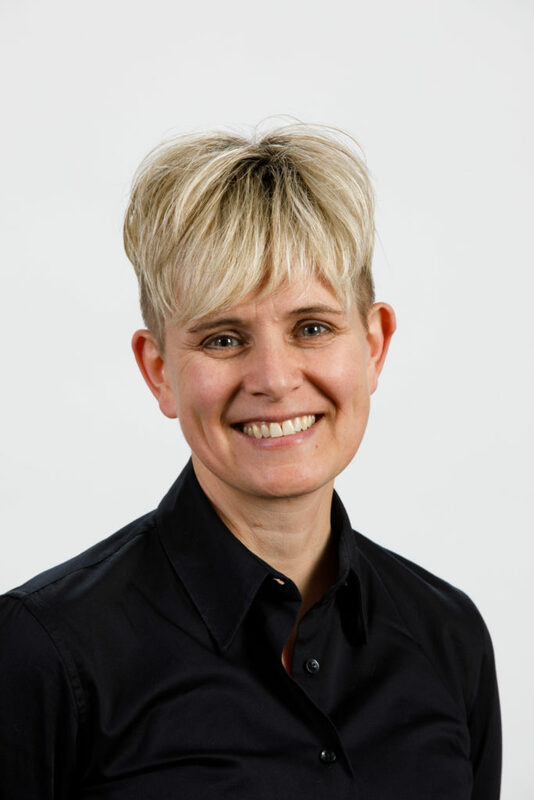 After retiring from sport she went on to complete her BSc from the University of Calgary and her MScPT from the University of Alberta in 2012. Julie has worked as a physiotherapist with the Canada Para Alpine Ski Team since 2013 and has traveled to the Sochi 2014 and PyeongChang 2018 Paralympic Games as a medical team member. She currently also works with the Canadian Para Track and Field team and the Canadian Men’s Water Polo Team. Paul Hunter PT, FCAMPT, CGIMS, Cert Sport Physio has been a consultant to the Canadian Sport Institute since 2007 and the Medical Team Lead throughout the Sochi and PyeongChang Olympics Games for the Canadian Long Track Speed Skating Team. He has covered over 30 International Speed Skating World Cup Competitions. These include being the physiotherapist for the short track speed skating team for FISU Winter Universiade in Erzurum, Turkey and World Junior Long Track Speed Skating Championships in Seinajoki, Finland. Paul Hunter is also a physiotherapist and co-owner of Marda Loop Physiotherapy, a community based private practice sport and orthopaedic clinic located in Calgary, Canada. Paul has done the planning for the last 3 Olympic quadrennials. Prior to the Vancouver Games Paul was the physiotherapist for the Canadian Short Track Speed Skating Team. Following the Vancouver Games, he assumed the Medical Lead position for the Canadian Long Track Speed Skating team and planning for the Sochi and PyeongChang Olympic Games. As the Team Medical Lead for Speed Skating Canada he was responsible for coordinating the medical team members and ensuring that athletes received proactive, reactive and trackside medical care as part of their performance plan. This role included the assessment of all the speed skating athletes from the National, Development and Next Generation program, the creation of strategic plans for the athletes, gap analysis and implementation of action plans. Paul’s responsibilities included coordinating the medical staffing throughout the year for daily therapy, track side coverage and domestic and international competitions. Paul is also completing his fourth year and second term on the Sport Physiotherapy Canada National Board. The mission of Sport Physiotherapy Canada is to provide leadership and direction to membersfor the advancement of sport physical therapy. He has been a key member in transforming the regulations and the standards for qualifying examinations within Sport Physiotherapy Canada. Through his work with National Sport Organizations he has also been involved in mentoring the next generation of physiotherapists to achieve their certification and to advance their career in sport medicine locally and nationally. Paul was a presenter at Own The Podium’s, Sport Innovation Summit in Calgary 2017. For the last 7 years he has been a Scouts Canada troop leader leading youth through weekly meetings. Most recently planning and leading 19 youth on a 16-day camping and remote canoeing adventure in Northern Alberta and Saskatchewan. Though he was born in Vancouver he currently lives in Calgary, Canada with his physiotherapist wife and two active boys. Lauren VickeryPTgraduated from the University of Alberta with a Bachelor of Science in Kinesiology and went on to complete a Master’s of Science in Physiotherapy in 2010. She moved to Calgary shortly after graduation and has worked in private practice for the last 9 years. Lauren completed her advanced diploma in manual and manipulative therapy in 2015 and became a Fellow of the Canadian Academy of Manipulative Therapy. She is licensed in medical acupuncture and a certified Gunn IMS practitioner. Additionally, she has completed advanced training in vestibular rehabilitation and has worked as part of a multidisciplinary concussion clinic at Copeman Healthcare for the last six years. Lauren obtained her Sport Physiotherapy Certificate in 2017 and became the first in Canada to graduate with a Sport Physiotherapy Diploma through the International Olympic Committee in 2018. Lauren works as a contractor for the Canadian Sports Institute Calgary and was the medical lead for the Canadian National Luge Team from 2015-2018 . She attended over 25 world cup competitions, 2 world championships and the 2018 Olympic Games in Pyeongchang. Prior to working with luge, Lauren had the opportunity to be the medical lead for the Canadian Women’s Sitting Volleyball Team for the 2015 Para Pan American games and 2016 World ParaVolley Championships. Following the 2018 Olympic Games, Lauren has taken on a new challenge as the medical lead and physiotherapist for the national long track speed skating program. Dr. Constance (Connie) Lebrunis a Professor in the Faculty of Medicine and Dentistry, Department of Family Medicine at the University of Alberta in Edmonton, Alberta, and a consultant Sports and Exercise Medicine physician at the Glen Sather Sports Medicine Clinic. Her practice focuses on care of musculoskeletal and medical issues of physically active individuals. Research interests include health considerations of active girls and women (Female Athlete Triad, and Relative Energy Deficiency in Sport – RED-S) and return-to-play issues, i.e. concussion in sport. She was a member of the Canadian Medical Team for 4 Summer Olympic Games: 2008, 2004, 2000, and 1996; and 3 Winter Olympics: 2006, 2010 (Medical Director, Canadian Snowboard Federation 2007-2011) and 2014 (Chief Doctor). Other medical Games experiences include Pan-American Games (1987, 1991, 2003), Francophone Games (1994) and World Student Games (1989, 1999 and recently appointed Chief Medical Officer for Canada for Summer 2019 Universiade in Napoli, Italy). She was a former member of the Canadian Women’s Volleyball Team, competing in World Student Games herself (1973, 1977), 1975 Pan-American Games and 1976 Montreal Olympics. Penny Werthner, PhD,is Professor and Dean of the Faculty of Kinesiology at the University of Calgary, Alberta, Canada. Her research is in the area of life-long learning from a pedagogical perspective, particularly in the area of high performance coaches; women and sport; and the use of heart rate variability biofeedback and neurofeedback for optimal performance in high performance sport. She is a former Olympic athlete in Athletics and continues to work with coaches and athletes at the Olympic level of sport. Since winning two medals in Sochi 2014 – including a silver-medal performance in the men’s 1000m after teammate Gilmore Junio’s selfless gesture – Denny Morrison has lived through one of the most challenging and extraordinary years imaginable. On May 7, 2015, Denny was involved in a vehicle collision that almost claimed his life when a car turned left in front of him. He was launched from his motorcycle and woke up in the hospital 36-hours later with a horrific list of injuries: a broken femur, torn ACL, fractured elbow, lacerated liver, ruptured kidneys, a punctured lung, global internal damage, and a moderate head injury. Determined to skate again, Denny completed his comeback with a dramatic, and surprisingly competitive race, at the Olympic Oval Finale only 9-months after the accident, on March 18, 2016. With his comeback complete, Denny and fellow speed skater Josie Spence, planned an off-season bike trip on the Arizona Trail — a 1200km route from Mexico to the Northern Utah border. No stranger to comebacks, he understands that the road to Pyeongchang 2018 may be his most difficult. This story keeps getting better. Posted October 2nd, 2018 by Ashley Lewis & filed under Trending Now. You are receiving this email as you are at some stage of the credential program and you may require information regarding the 2018/2019 Credential Program cycle. Registration Window: Registration will open December 1, 2018 and close at 11:59pm Eastern on January 31, 2019. No late registrations will be accepted after this time. Are you due to maintain your credentials? You can check your maintenance date by logging in to your profile. Allison in our office is always happy to check for you as well. Complete your maintenance by filling in the form below and submitting your documents. Our development committee is very hard at work updating the credential program syllabus and developing a new exam to accompany it. This is a large project and long process. We thank you for your patience. The November 2018 written exam WILL NOT use the new materials. We respect the time that candidates put into studying and do not wish to disrupt their process. Please stay tuned for a release of the updated syllabus and resources by the end of the year. Posted June 19th, 2018 by Ashley Lewis & filed under Concussion, Trending Now. 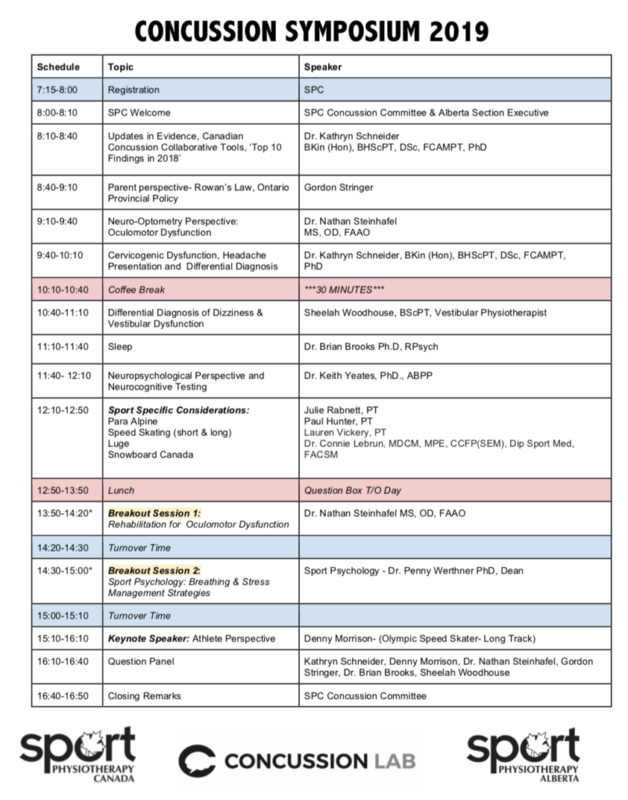 The annual SPC Concussion Symposium will be January 19, 2019 at the MacEwan Conference and Event Centre in Calgary, Alberta. Stay tuned to our website for more details and registration. 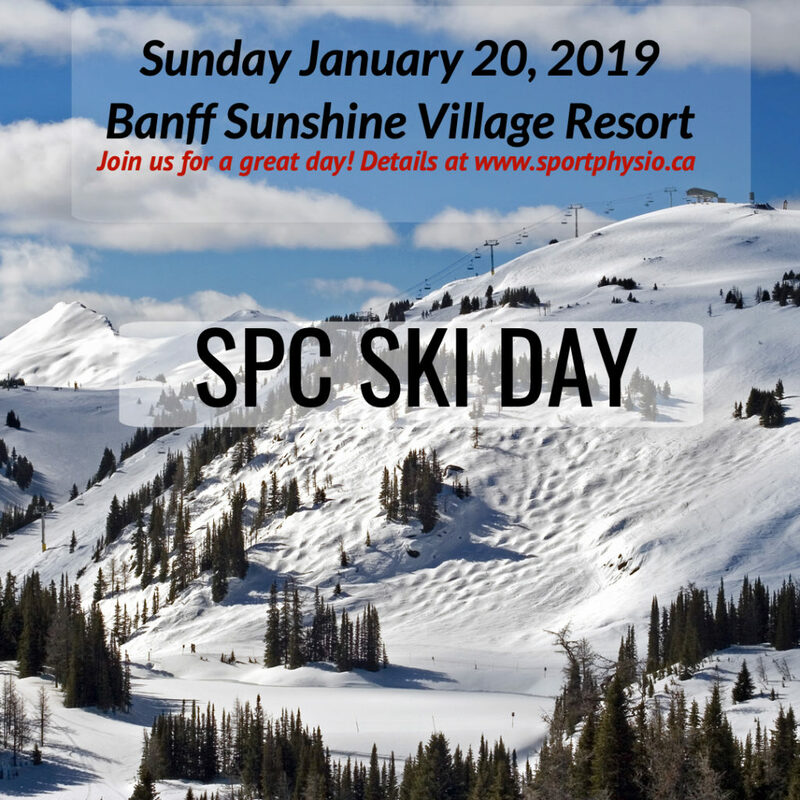 Sunday SPC ski day – group discount rate- make a vacation out of it! Posted June 8th, 2018 by Ashley Lewis & filed under SPC Board & AGM, Trending Now, Uncategorized. Please find the documents for the 2018 Annual Meeting. ONLINE: Follow the link sent by CPA to login.